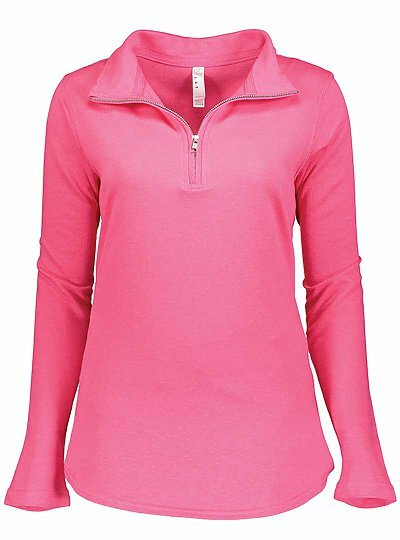 Stay stylish in cooler weather with these 1/4 zip pullovers for women. Hemmed sleeves and shirttail bottom give these basic sweatshirts an upscale look. Look great and feel comfortable with this lightweight french terry fleece for year-round warmth.